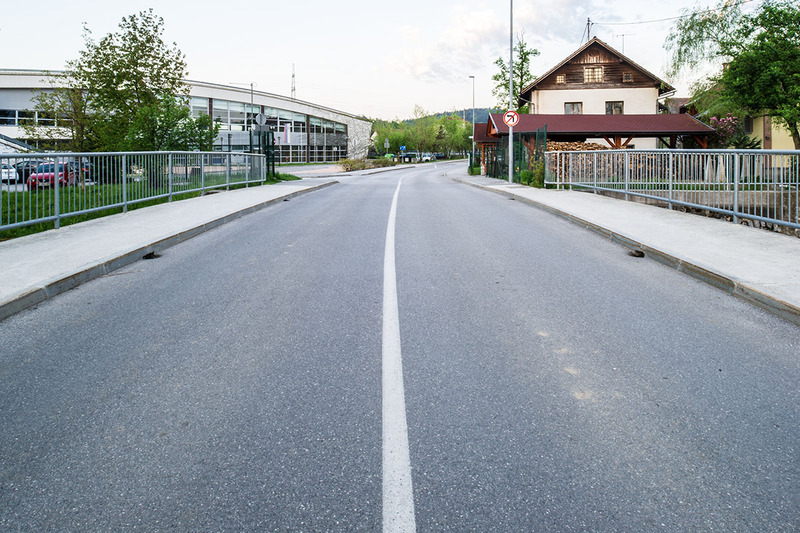 A disused bridging structure that was no longer adequate for the current traffic load between the school and the bus station in Dragomelj needed to be replaced by a new construction having a driving width of 2 x 3 m and two corridors of a width of 2 m.
The span of the structure amounts to 11.04 m, the clear height is 3.13 m, the length of individual wings ranges from 5 to 10 m. The structure is designed as an integral structure without individual dilatation units. The slab has a variable width from 60 to 67 cm in cross-section, while the thickness does not change in longitudinal cross-section. 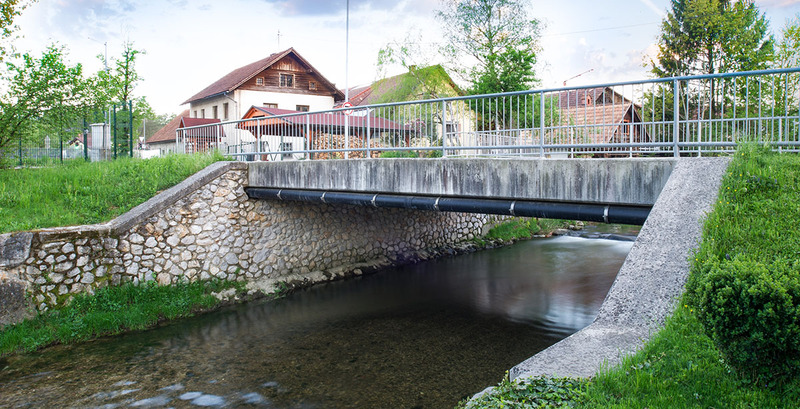 Water drainage is provided for with a double-sided transversal slope of 2.5%. The abutment walls are 60 cm thick, the thickness of the wings amounts to 40 cm. 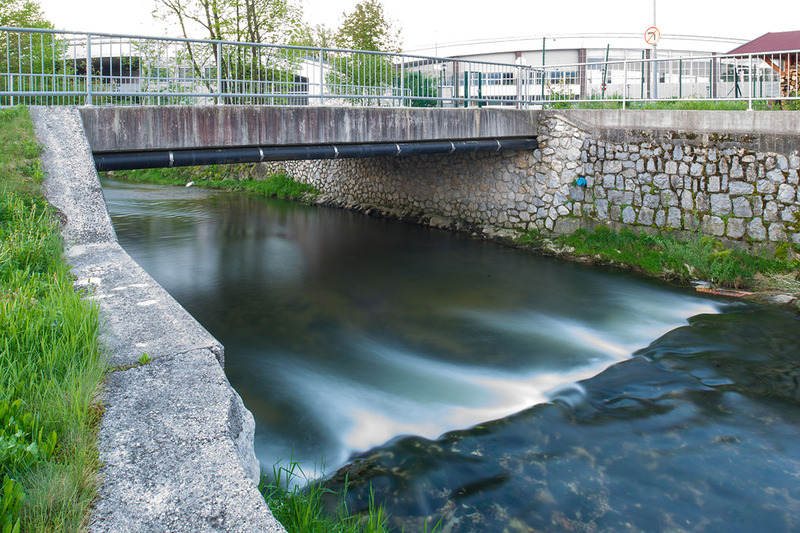 The abutments are 3.38 m high. The wings represent a continuation of bridge piers. One of the wings preserves the original height along the entire length, the remaining three wings drop for 1.5 m over five linear metres. One of the wings terminates, while the remaining two continue for 5 more metres on the lowered height. 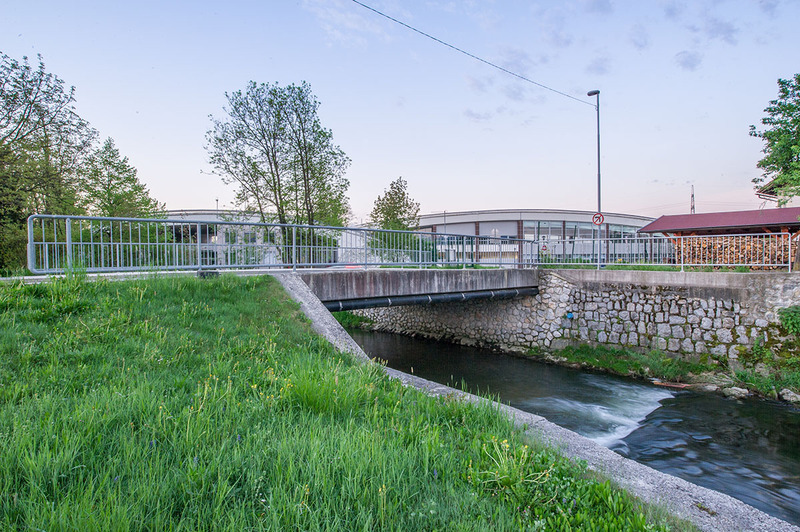 The bridge structure is founded on strip foundations of a width of 2.80 m.
The project also included improvement of hydraulic properties of the stream of the Pšata river over a large area of the bridge structure.